Narcissist leaders present a conundrum for organisations. On one hand, they can be huge assets, maintaining impressive drive and vision while enacting sweeping change through the power of their charisma. Unsurprisingly, research and experience typically show that narcissists are highly likely to ascend to power. On the other-hand, they can be volatile leaders, exploding at any suggestion that their rosy view of their own competence is inaccurate. Narcissistic leaders tend to become engulfed in a quagmire of difficulties, including intractable conflict, high staff turnover due to an inability to empathise. They also struggle to share credit, and create controversy and confusion as a result of their unwillingness to explain themselves. In short, narcissists can be valuable when change is necessary and systemic, but more trouble than they’re worth at almost any other time. And yet we suggest it may be possible to contain and control the downsides of narcissism. For example, what if those grandiose self-views could be redirected to become focused on others, such as being the best helper, advice giver, or team member? The narcissists who do this naturally are called communal narcissists. They are self-appointed saints who have unrealistic views of their contributions to others. 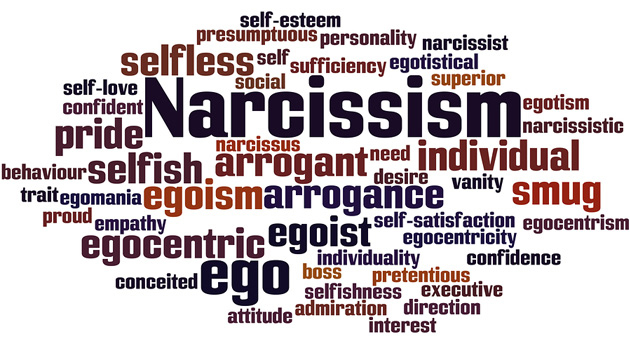 While, like all narcissists, they are driven to maintain unrealistic, inflated self-views and crave positive feedback, their narcissism can be channeled toward productive ends because their self-image is tied to helping others. Traditional research has examined agentic narcissists, those who think their abilities are far grander than others’ and are focused on achieving things in the world for themselves. Whereas communal narcissists are more likely to share credit and resources in group settings in order to support their self-perceptions as heroic helpers — and they could just be the narcissists your organisation needs.